The organizers of The Best Ukrainian Metal Act announced the nominees for the award "Best Metal Band". The list includes bands Sectorial, 1914, The Nietzsche, Heartprints, Velikhan, Dimicandum, and The Hiraeth. The winner of "Best Metal Band" award will be chosen by the visitors of the upcoming The Best Ukrainian Metal Act event. The other two awards will go to the best metal album and metal video, respectively. The winners in these categories will be determined by music journalists and specialists of music video production. Shortlists will appear a week before the event. 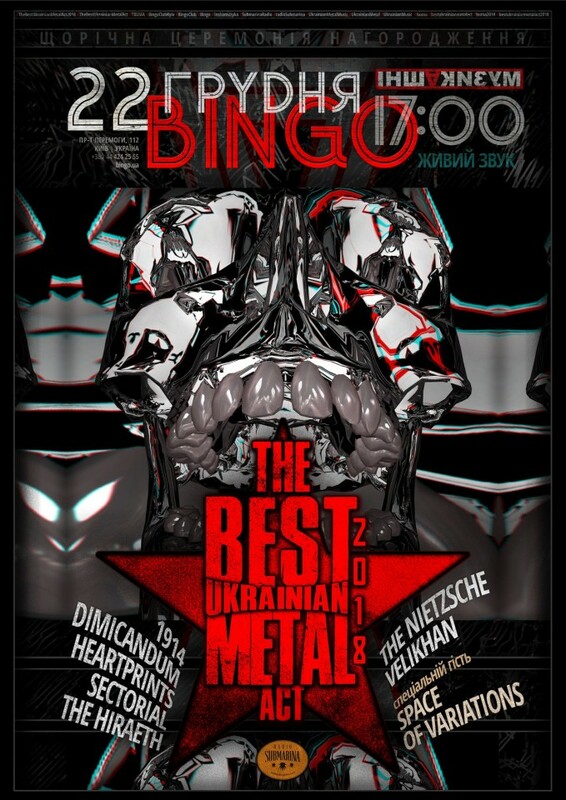 The concert and award ceremony will be held on December 22 at the club "Bingo" in Kyiv, Ukraine. In addition to the nominees, the special guest of the evening will be the band Space Of Variations, who won main BUMA award last year. Tickets for the event are available here. More info can be found on Facebook.